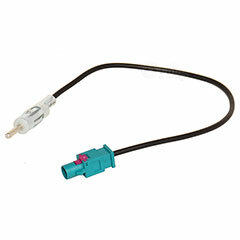 Add this part lead to most of our SRWH radio wiring harness to add steering wheel controls to your installation. Factory fit BMW mic for use with Dension products and aftermarket radios. 19 foot (600cm) Satellite Antenna Adapter allows you to use your factory Sirius antenna with your aftermarket Sirius radio. This kit includes everything you need to install the SONY XAV-AX1000 or XAV-AX5000 into your E46 BMW 3-series. 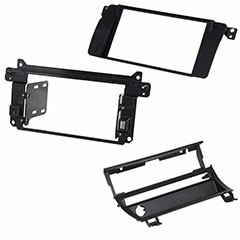 We can send the parts anywhere but for the radio to be purchased you must be a US customers and must ship to your billing address signature required due to warranty issues. This gives you about a $50 discount when purchased as a kit. 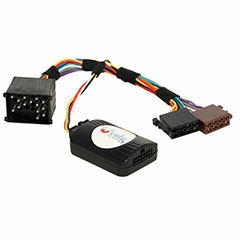 Enfig SRWH-BM1 - Wiring harness and steering wheel control module. Enfig SWCL-SON - Radio specific programming cable for the SRWH. 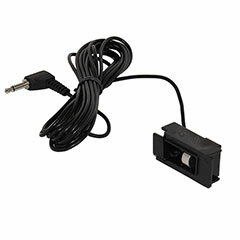 Enfig PNP-SON0028 - Wiring converter to connect directly into the sony radio without cutting a single wire. Enfig Radio mounting kit - Includes the HVAC relocation kit. You must tell us if you have the lower part with a single switch or 5 switches. Enfig AA-BM1 - Antenna adapter.